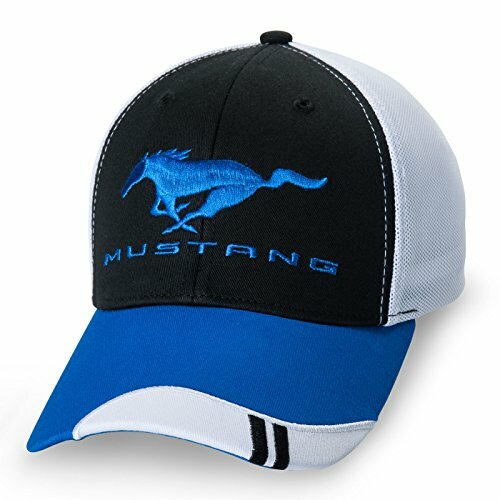 Structured low-profile styling custom cap features visor piecing and accent stripes. Front twill panels with embroidered Pony and Ford oval and athletic mesh back panels. Color: Black/White/Blue. Flex fit. Size M/L Brand new official licensed product. All right reserved. Structured low-profile styling custom cap features visor piecing and accent stripes. Front twill panels with embroidered Pony and Ford oval and athletic mesh back panels.